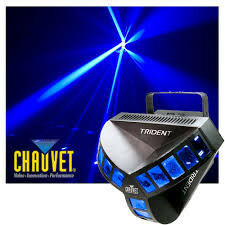 the effect light is the centrepiece for any dj fixture. it shoots beams in three directions with tri-colored leds. with a wide coverage angle of 155-degrees, the trident is illuminated by two tri-colored, 7w leds with seven color combinations. 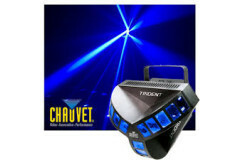 it offers variable electronic strobe in any color combination.